Magenta SmartHome voice controlled via Amazon Echo. Telekom customers take part in exclusive Echo test. Deutsche Telekom customers will soon be able to run their connected homes via an Alexa skill. Using only their voice they will be able to activate a range of preprogrammed situations and inform their smart home when they are present or absent. The new service will run on Qivicon, Telekom’s European non-proprietary platform for the connected home. 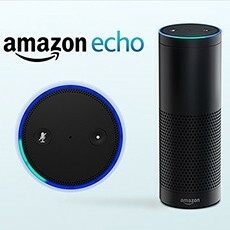 Qivicon has learned to communicate with Alexa and can now enable customers to control their lights, blinds, alarm systems and much more with their voice via Alexa-enabled devices like the Amazon Echo. Magenta SmartHome customers can start using the voice service in their homes as soon as Amazon Echo is available in Germany. “With Alexa there are many new opportunities to make the connected home even smarter and more comfortable,” said Christian von Reventlow, Chief Product and Innovation Officer at Deutsche Telekom. Activation is simple: The Magenta SmartHome Alexa skill is included in the Amazon Alexa app. When activated, this function is linked with Magenta SmartHome and customers can use their voice to control their smart home. The customer can now choose between different scenarios known as “situations.” Situations are settings the user programs for their home to fit their habits and, thus, can regularly be performed automatically. For example, users could create an “Off to bed” situation where the lights are switched off in the living room and dimmed in the hallway, the heating is turned down and the blinds lowered. Users can create as many situations as they want. Then voice commands like “Alexa, tell my home to activate the situation off to bed” take charge of all of the preprogrammed functions – even when the smartphone or tablet is not at hand. Customers can also use Alexa to tell their home control system when they are leaving. The command “Alexa, tell my home goodbye” lets the system know, for example, to activate the alarm system and to switch off music or lights around the house. Selected Telekom Magenta SmartHome customers are taking part in an exclusive Echo test phase in Germany and have been given the chance to try out Magenta SmartHome with Alexa before Echo is launched on the market. These customers will receive a direct invitation to the test and can then register with Amazon.